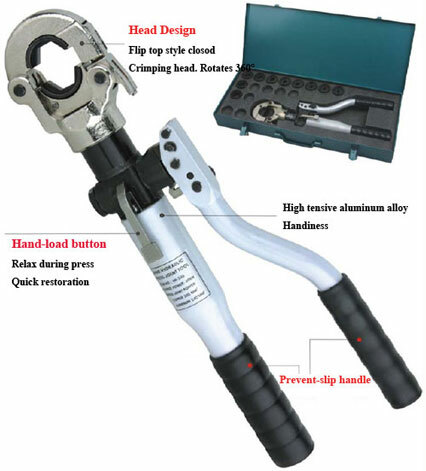 Hydraullc crimping tool is a professional tool for crimping copper and aluminum lugs with different types, a wide range of crimping die from 4mm2 to 10000mm2 to suit for different size demand. 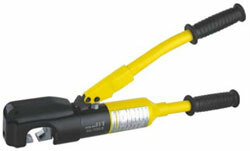 The main crimping shape is hexagonal, special shape design is provid. 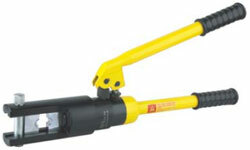 The THS-150 was designed to accept dies for BEKU type mechanical tool widely used in European countries. 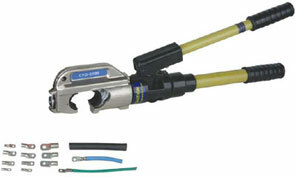 The light weight and slim design is ideal for close quarter application such as connection in the switch box. 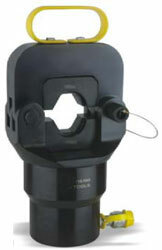 Easy latch type closed head provides easy insertion and removal of connectors. 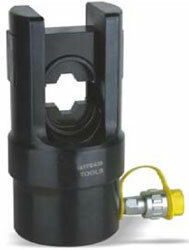 The spring loaded pump handle allows on hand pumping untill lower die holds connector between dies. The built-in safety valve will by-pass the oil supply when the maximum pressure is reached and the pressure release system can easlly be operated at any stage of compression. 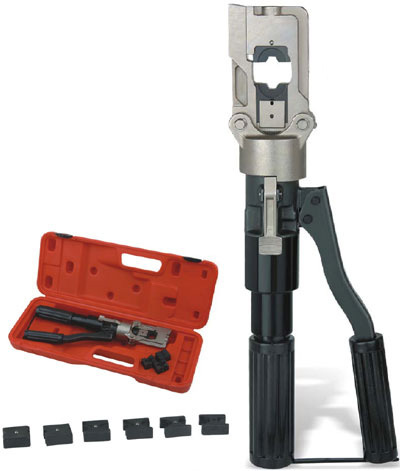 The tool features a double speed action: a fast advancing speed for rapid approach of the blades to the connector and a slower more powerful speed for cutting. 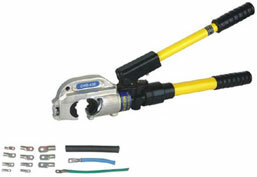 For ease of operation and comfort the operator the tool head can be fully rotated through 360° . 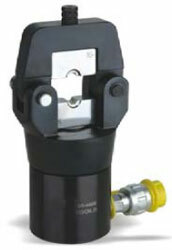 The built-in safety valve will by-pass the oil supply when the maximum pressure is reached, and the pressure relesse system can easlly be operated at any stage of compression. Design to accommodate hexagonal, dies for applying compression fitting to copper, aluminum conductors. Two stage pumping action for rapid ram advance to the connector hold position with minimum pumping action. 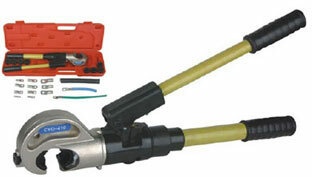 Automatic retraction when the pressure reaches 700kg/cm2(12T) reached. 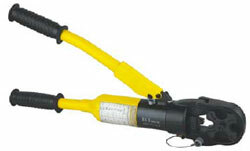 The glass fiber operation insulates the stick can bear the electric voltage 200KV, keeping on the minute. The pressure outside the body adjusts to press the valve, don't need the whole structure to lie down.